Local organizers of the Formula One Chinese Grand Prix say they are looking forward to the next round of contract extension talks, with Juss Event adding that the new F1 bosses were "more open-minded". 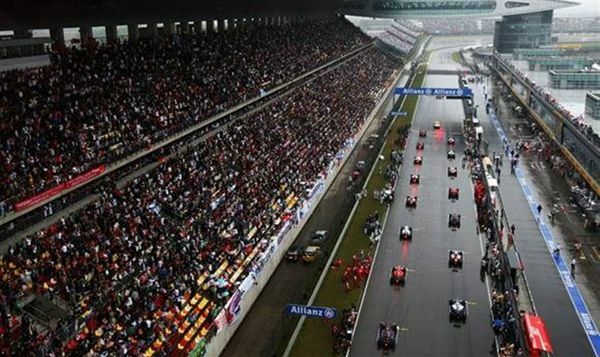 This is the last year of the 7-year contract to host the premier motor sports race in China. F1 itself has undergone a change with American Chase Carey replacing Bernie Ecclestone to become the new chief executive of the Formula One Group. Asked if Shanghai was ready to extend the Chinese GP deal, Jiang Lan, Juss Event CEO and vice president of Shanghai Jiushi (Group) Co Ltd said he saw no reason why it won't happen. "We haven't gone into (contract extension) details yet during our meeting this weekend. It was more about the sport itself and how to promote it better here," said Jiang. "But I can say there will only be more reasons for us to host the grand prix in the future. "F1 has been seeing a drop in viewership worldwide. But I found Chase, who has a media background, more tolerant and open-minded. He was willing to give more power to F1's local organizers and create new values together. "Of course, we need to thank Bernie for his contribution to the sport over such a long time. But it's obvious that the sport and its promoters are expecting some changes and renovations, especially on how to expand the market. Chase might not know about F1 as clearly as Bernie did, but he agrees that the F1 weekends should be more fun, which is in line with what we want." Jiang said Juss has been trying to make the race weekend into a "big party" over the past 14 years, which has helped to get fans to the Shanghai International Circuit every year. "F1 is a disciplined sport with strict rules even for organizers. The activities and commercial booths we arranged near the entrance of the circuit had been questioned by the previous F1 management. But the new bosses like it." "But there is little suspense about whether we will continue to host the race," he added. Jiang said TV broadcasting rights is another area Juss can explore in the future. Juss owns F1's broadcasting rights in mainland China but struggles to sell the rights at a profit. A total of 145,000 spectators visited the Shanghai International Circuit in suburban Jiading District during the three-day GP. Tickets for the Grand Stand were hot sellers on the internet this year. Even the 300 Grand Stand tickets set aside to be sold at the venue were grabbed fast. "It shows that fans are also optimistic after the new changes in the sport," said Jiang.